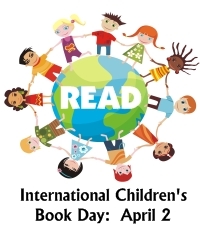 April 2nd celebrates International Children's Book Day, so what better way to show our love and appreciation for that day than to participate in a swap! For this swap, you'll be assigned one (1) partner. Send your partner one (1) postcard with a recommendation for a children's book and explain why you chose it, what you like about it, etc - for example, it could be a book you're reading to your child, a book you loved as a kid, one you still adore now, anything along those lines. You can recommend more than one if you like! The children's book does not have to be in English, it can be in any language! The swap is Newbie Friendly and is open to swappers with a rating of 4.75 or higher! Send by the deadline and rate when you receive, a heart is completely up to you!